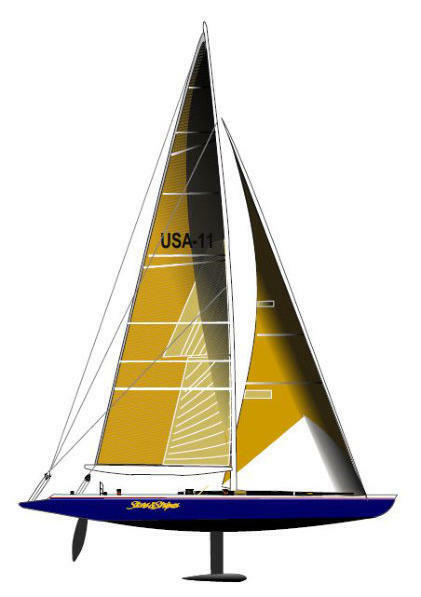 From mid January to late April 1992 the US-11 sailed in 53 (!) days of racing in the CITIZEN CUP against the 4 yachts flotilla of Bill Koch, to clarify who defends the America's Cup officially. Conner's USA-11 lost finally against USA-23. The irony is that Dennis Conner, who lost the AC in 1983 but conquered it back in 1987 - and defended it with success in 1988 – had to cede the defence for 1992 to Bill Koch.